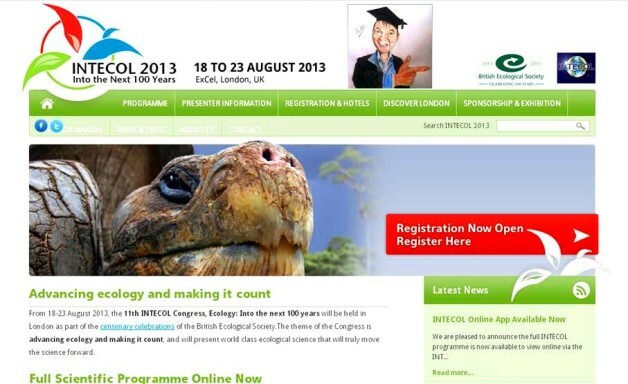 As part of the centenary celebrations of the British Ecological Society, London hosted the 11th INTECOL Congress entitled “Ecology: Into the next 100 years” from 18-23 August. Dr M is not missing the opportunity to take eXtreme botany to INTECOL to underline the importance of enhancing plant ID skills among ecologists as well as students and the general public at large. Dr M presented his ideas on the use of video for learning plant species identification in the the session on Innovative & Successful Fieldwork Practice on Tuesday 20th August. Dr M is looking for examples of plant ID videos for this interactive session and there is still time for you to contact Dr M to send your plant ID videos for inclusion in this session! You can also contact Dr M with Dr M your top tips and hints for successful plant ID!